TransLink's management board had their meeting earlier today and the MTC always posts their agenda online and also a couple of presentations by the TransLink staff to the board. For the past few meetings, I've been giving you all the juicy details and skipping over the garbage that the public doesn't want to hear (mostly about dollars and cents). In October 2009, there was 40,000 transactions, and is over double the amount from last year. As of November 5th, 88 Samtrans buses are equipped with TransLink and continuing. Gillig buses are being pre-wired during the bus building process so TransLink equipment can be installed faster. VTA will start installation in January 2010. It is estimated to be "revenue ready" by April 15th, but the installation may start late. Installation of add value machines at the Transbay Temporary Terminal will be done in early December. For those who transitioned from EZ Rider to TransLink, BART sent out surveys to those people. SFMTA/Muni is continuing to distribute discount TransLink cards (elderly, disabled, and youth). BART is still working on having their ticket machines be able to add funds and should be ready in late 2010. 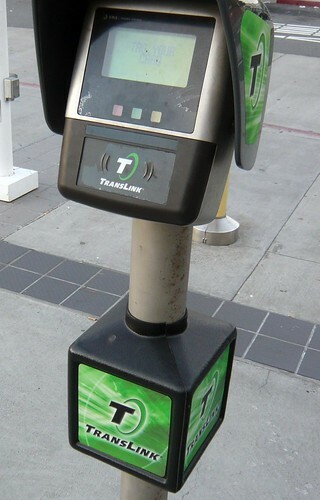 VTA and Caltrain are also working on having their ticket machines to add-value, but has no date of planned completion. TransLink is looking into a contactless only option (no gold chipped cards and no need to insert cards into slot). The elderly/disabled Muni pass program that allows BART access is underway and TransLink is looking into integrating it into their program. TransLink is looking into purchasing handheld readers for Cable Car usage. A proposal by TransLink to add card readers at exit points on the Muni Metro subway sections. Caltrain's monthly parking permit program is considering to be integrated with the TransLink card. The TransLink contractor is working on a computer programming script for transaction history requests so it can be executed faster. TransLink claims they are able to save 500 man hours by taking advantage of computer technology. Just looking over the documents shows a lot of the same material mentioned from previous meetings. I don't agree with the idea of adding card readers at exit gates on Muni, unless if the data is being used to track rider patterns to improve service and/or make it easier for fare inspectors. Lastly, I like the idea of TransLink getting history reports quicker and I hope they will be able to fully automate it online so everyone can review their history reports instantly instead of the few day waiting period. I think the point of putting card readers on the exit gates is that they can then be used as entrance gates also, even if they aren't at a booth. The way I interpreted it is when Muni replaces the fare gates next year, they want to put readers when people exit the station. For the existing (old) gates, all "exit" gates are used for entry with Translink cards so an agent is not needed. On page 26, the Table 11 notes that the SFMTA late night transfer was "declined by contractor." Does that mean there are and will be no late night transfers when using TransLink on Muni? You are correct. No late night transfers, only the 90 minute transfers.